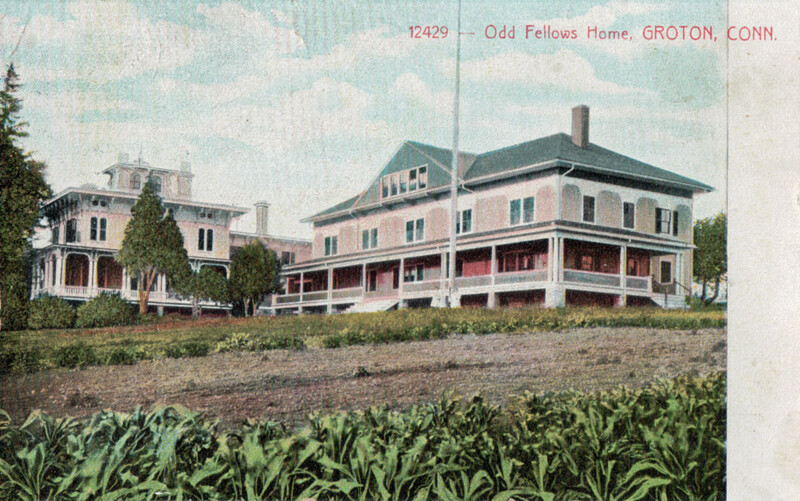 The former Griswold Hotel in Groton. 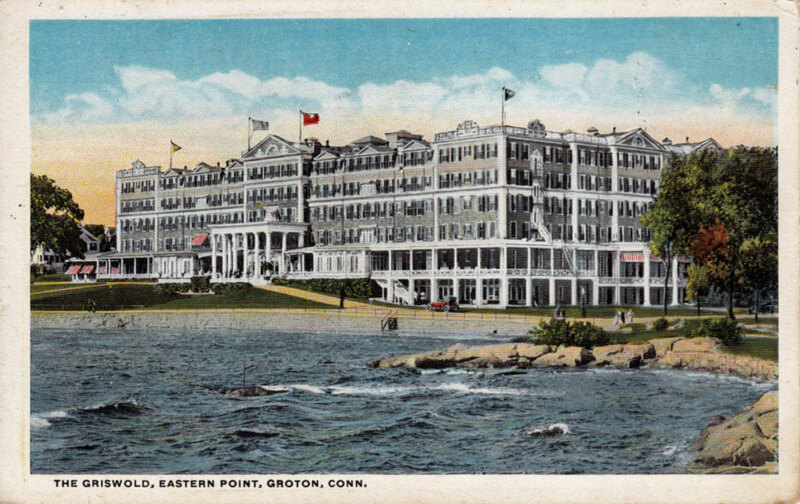 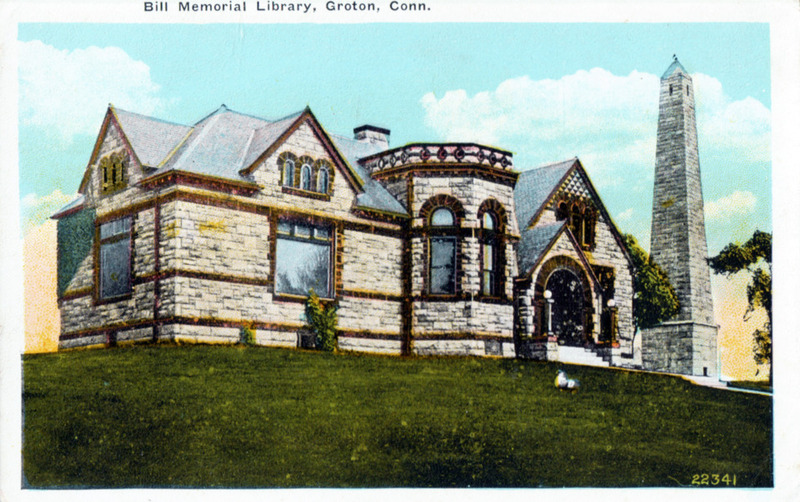 Demolished in 1968. 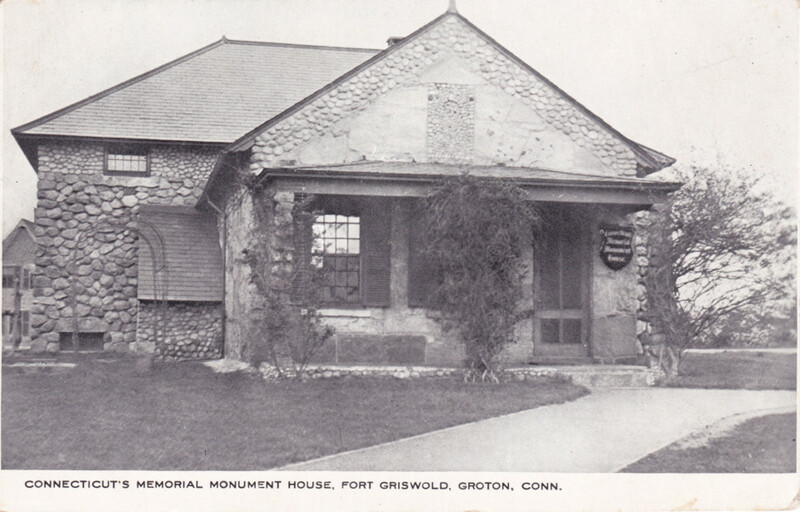 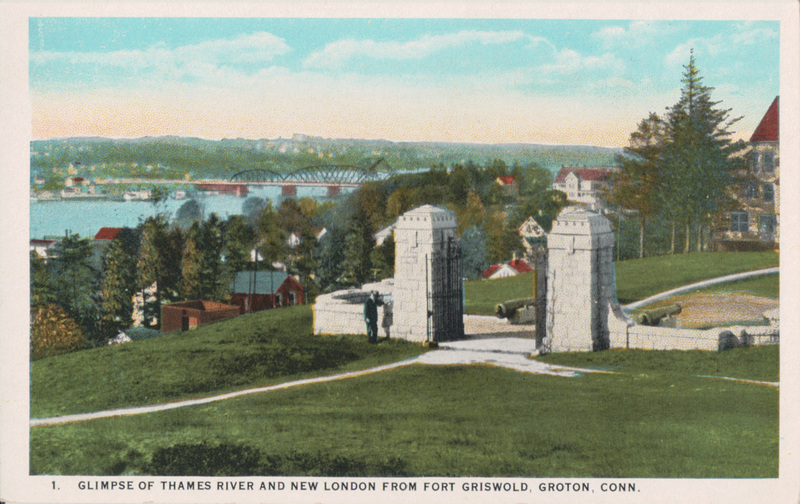 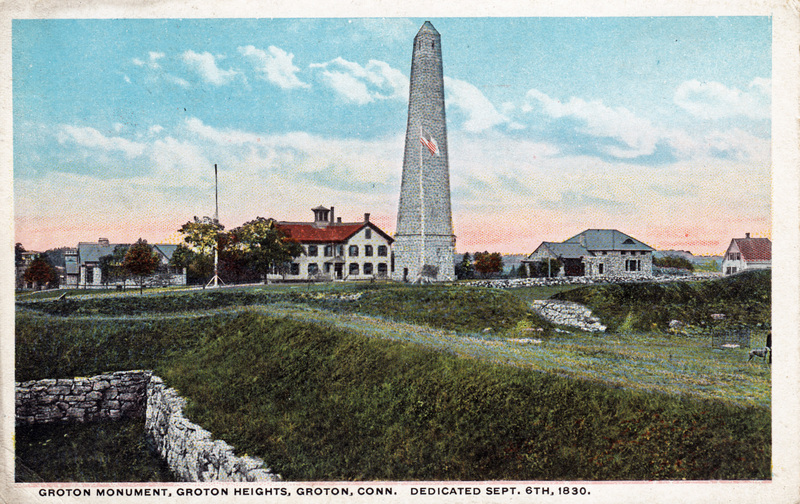 The Groton Battle Monument, dedicated in 1830, honors the more than 80 men killed defending the fort during a British raid on Fort Griswold in 1781. 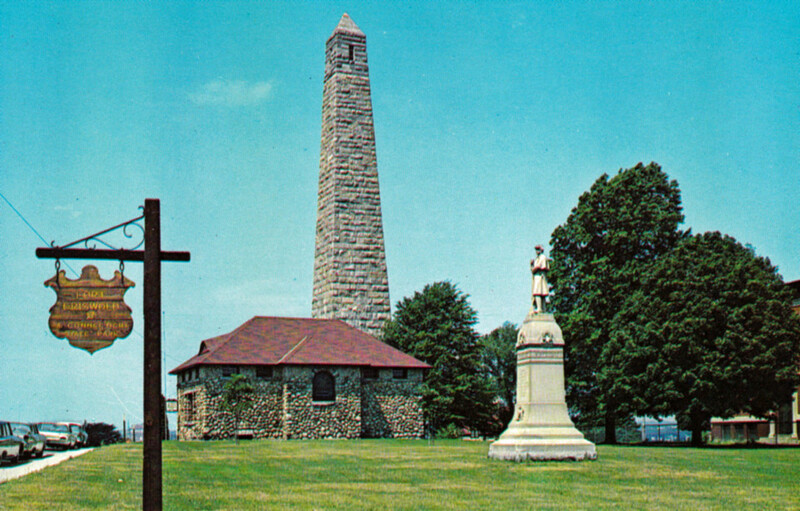 The Civil War monument was dedicated in 1916. 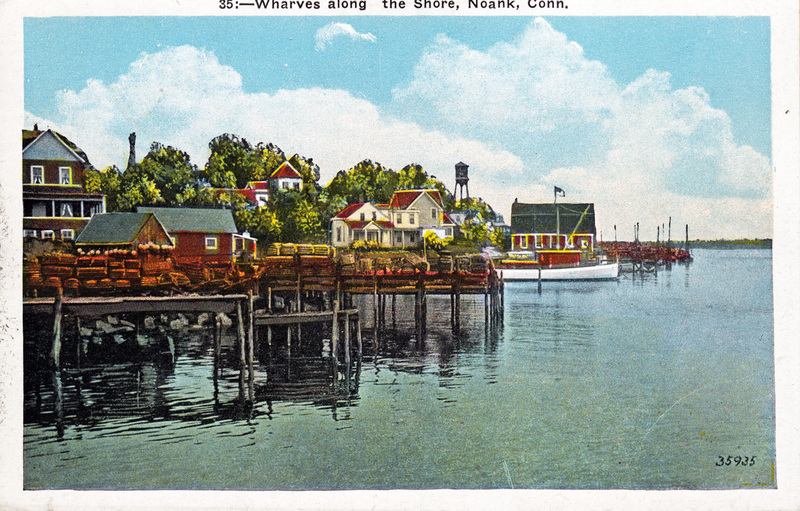 Postcard wasn’t mailed.